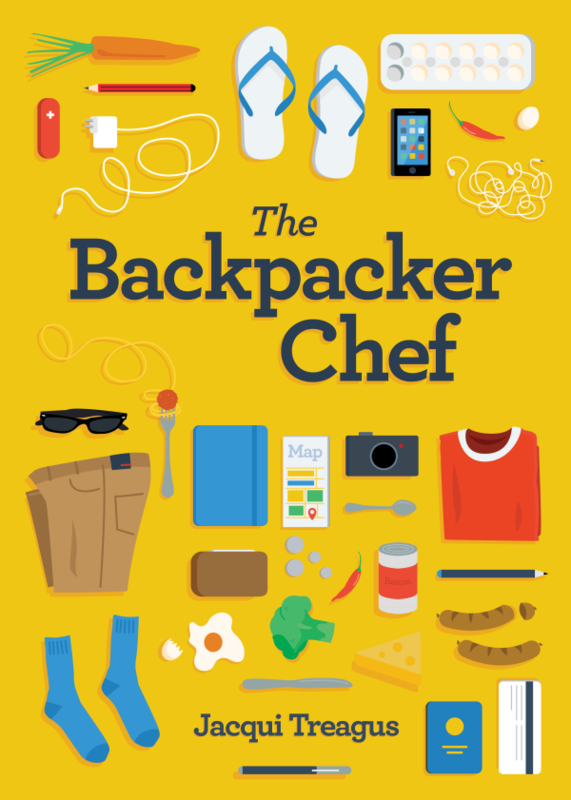 This week I asked Jacqui, author of The Backpacker Chef, to tell us a bit more about her new book. She has started a crowdfunder campaign to get her book published and she would love all of the help she can get. If you’re unfamiliar with crowdfunder campaigns, it’s a way for someone to raise money for a project with a little help from people like you and me. In this case, Jacqui needs to sell 1,000 pre-orders of her book (by September 7) in order for it to be published. If Jacqui is unable to reach her goal of 1,000 pre-orders, anyone who purchased a pre-order will get a full refund — no questions asked. If she does reach her goal, they’ll get an awesome book. Personally, I think any traveler (of places near or far) would get a lot of use out of having this at their disposal! I’ve already pre-ordered and I hope you will consider pre-ordering, too. Here’s a bit more information about why The Backpacker Chef is perfect for you. The Backpacker Chef is a pocket-friendly cookbook designed for backpackers anywhere in the world. Recipes contain basic ingredients, are minimum fuss, leave minimum left over ingredients, require no fancy cooking equipment (not even a blender!) or skills. Cooking in a communal kitchen is a great way to connect with travelers on the road, and maintain a healthier body and budget at the same time! Your taste buds will thank you, too! A crowdfunding campaign on a new platform called Publishizer (https://publishizer.com/the-backpacker-chef/) is underway to hopefully provide backing to publish ‘The Backpacker Chef’ cookbook. What inspired the idea for the book? 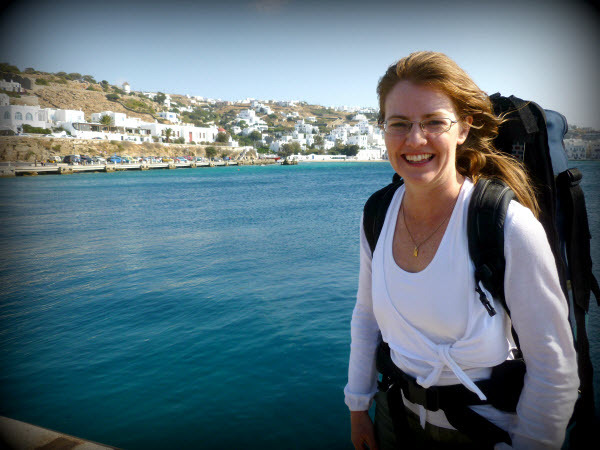 Jacqui thought of her own experiences of travel, seeing other people cook different sorts of meals in hostels and wondering how did they know what to cook? Not having her own cookbooks on her while travelling and not having the skill of ‘making something up’ while standing in the aisle of a supermarket deciding what to buy, she knew that she would love a cookbook like this…one that helped her to cook a variety of healthy meals on the road with minimum effort and fuss and ultimately save her money by not dining out or buying takeaway all of the time. After carrying out research and not finding much out there in the way of cookbooks for travelers who did have access to kitchen facilities, Jacqui set about curating and writing the content for her own cookbook ‘The Backpacker Chef’ – hoping to help make traveller’s lives easier when cooking on the road. A variety of recipes designed for backpackers including many one pot easy recipes, simple pasta sauce variations and even the basics including how to cook steak and chicken as well as the best way to make steamed rice. It also includes a ‘handy hints’ section. At the moment it is in a draft format. When 1000 preorders are reached, backers are invited to a draft version and are able to make comments. How do I place a preorder and get more information? The crowdfunding campaign ends on the 7th September 2013. Makes for a great gift for friends or family that love, or are planning, to travel! This entry was posted in Guest Post and tagged backpacking, camping cookbook, cookbook, how to cook on the road, pocket cookbook, Roaming Cooking, The Backpaker Chef, travel, travel cookbook by Meagan & Dave | HappilyEverExpat.com. Bookmark the permalink. You’re very welcome. Good luck!